The Detroit Institute of Arts is arguably one of the best Art Museums around! We are so lucky to have such an incredible resource right in our city and free admission for our students. For this field study I was able to take third, fourth, and fifth grade crews to study the African, Contemporary, and African American art galleries at the DIA. During the month of February we studied many different African textiles and contemporary black artists. Each grade level had to display cooperation and responsibility to complete a self-guided art scavenger hunt with their crew during their visit to the museum. For this initiative they had to find examples of the artists and artifacts that we’ve been studying in class and respond thoughtfully to each one through written reflection. By giving our students the opportunity to see the art that we’ve been studying at school in person, students get the opportunity to engage in making deeper connections to the work we’ve done. Our students are inquisitive, opinionated, and excited to learn about how to grow their curiosity and creativity. Ask any of our students and they will likely agree that there is no better place in the city of Detroit to experience such an amazing collection of art, history, and innovation. We were able to see the works of internationally acclaimed artists such as Kehinde Wiley who is the artist responsible for painting Barack Obama’s latest presidential portrait, as well as some of Detroit’s own influential artists such as the late Gilda Snowden. Gilda was one of my own art teachers during my time at the College for Creative Studies and it is always such a pleasure to be able to expose my students to her vivid abstract works. To see students so engaged in having meaningful conversations about art while also having fun is why it is so important to utilize field studies. Our trip to the museum would not be complete without the help of our incredible grade level teachers who work collaboratively with me to plan incredible opportunities like this one. 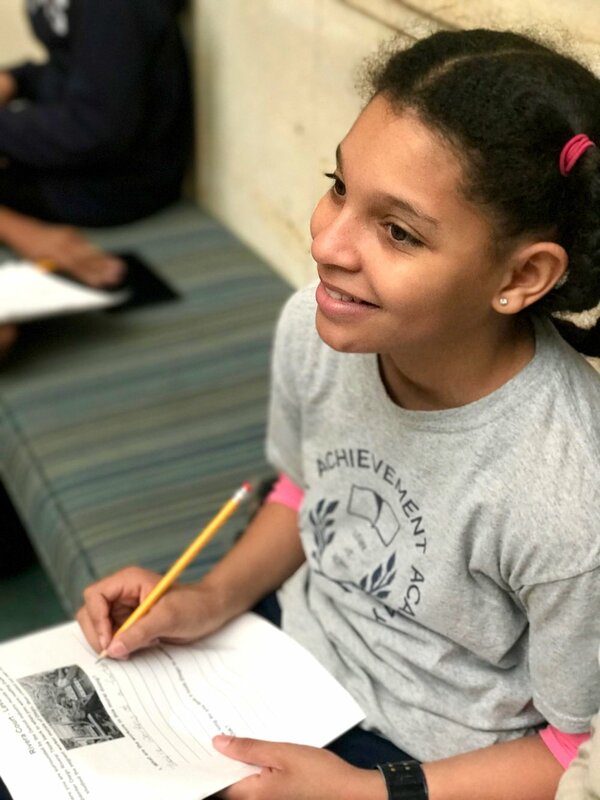 Through Expeditionary Learning we work together to get students and families engaged and excited about what we are doing at school and take that learning to the next level by bringing our students on trips to experience all that our community has to offer. The support of our entire DAA teaching staff and families is what makes each field study such a success because not only our students are hard workers but we had many volunteer chaperones who took the time out of their own busy lives to guide our students through this educational journey and model all the habits of character!